No sane person enjoys getting out of bed, especially when you're awoken by the shrill piercing cry of an alarm clock. How we wake up (and also how we drift off) has a massive influence on the rest of the day, so to do so in a calm, controlled, and natural manner is really important. In an attempt to make ourselves feel better about getting up in the morning, we tested the Lumie Bodyclock Active 250. What we have here is an alarm clock that lacks an alarm, using instead a gradually increasing light to simulate the natural brightening of dawn. 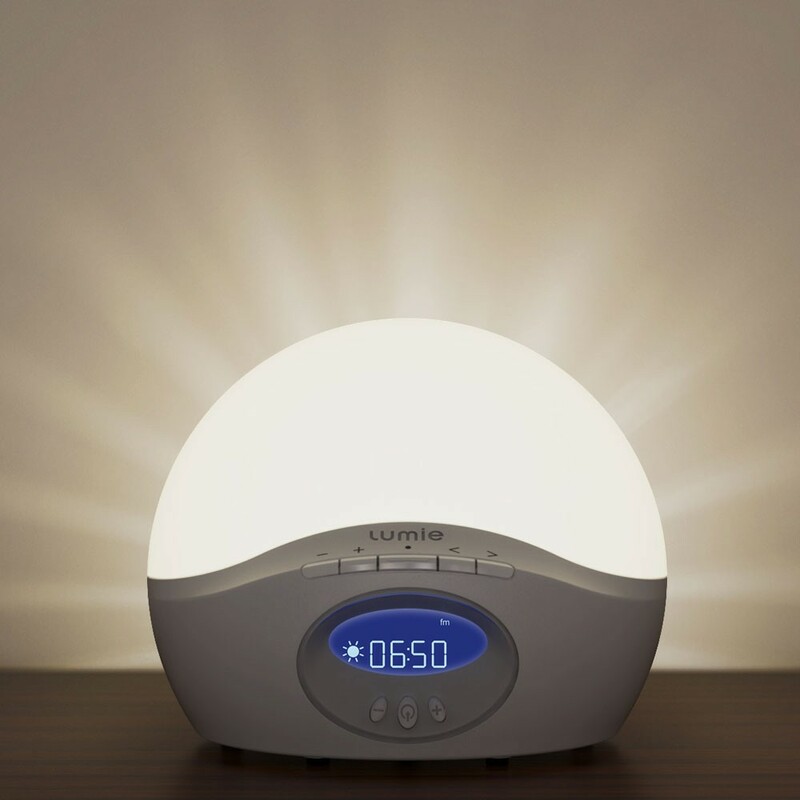 You can set the Lumie Bodyclock Active 250 for a 15, 20, 30, 45, 60 or 90-minute sunrise to wake naturally, in which the light on the top of the unit will slowly get brighter and brighter. You can also do the reverse for bedtime, allowing your body to wind-down in a far more comfortable manner. But that is not all. The Lumie Bodyclock Active 250 can also play gentle ocean sounds to help you drift off, as well as throwing in the odd cockerel sound at wake up time. 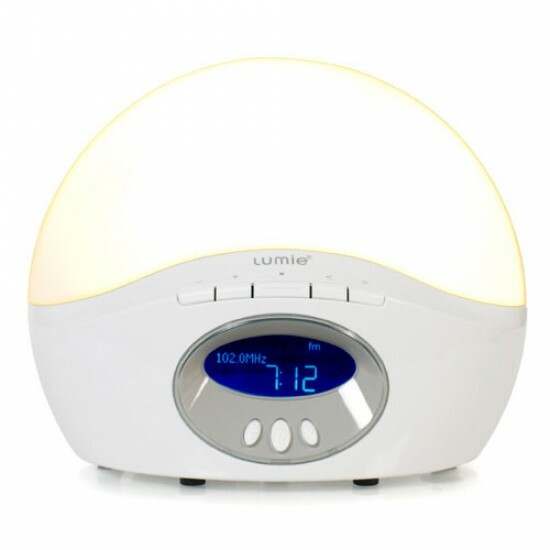 It can play white noise at night, to help drown out unwanted noise (such as housemates banging on your bedroom wall, asking if it's their turn to try it out), and, in case you're wondering what other daytime uses it has, the Lumie Bodyclock Active 250 comes with a built-in FM radio with digital tuning. There are other features this thing possess, such as random 'lights-on' mode for when you're away, simulating you getting up to go and pee at 3am or something, but the real thing to focus on here is if it actually works. We've been using this now for the best part of a fortnight and we have to say... yes. At first it felt like an odd sensation to find ourselves awake and relatively alert and happy, without the shocking blast of an alarm, but we soon got used to it. We found that the Lumie Bodyclock Active 250 was most effective when located on a bedside table, ideally on the side of the person who is using it to wake. Placing it elsewhere in the room was less effective, but it does still work. Not being startled awake really has made a difference; one that needs to be experienced to be believed. Even early morning struggles out of bed feel like you've slept in and woken when you wanted to, as there is nothing jarring about the slow and steady rise of the Lumie Bodyclock Active 250's 'sun'. Obviously there is a tonne of science to back all this up, but when you think about it it makes total sense. Alarm clocks (or indeed time keeping in general) are only a few centuries old, whereas our DNA has evolved over millions of years to use the increase in light as a signal to wake up, decreasing production of the sleep hormones melatonin and pumping out cortisol to get us going. Lumie also make a cheaper version of this, the Bodyclock Starter 30, which only features the wake up and sleep functions. If you think that is all you need, great, but we love that the Lumie Bodyclock Active 250 has so much more going for it. After all, there aren't many sleep aids that will also keep the burglars away when you're on holiday.